They are all talented and famous which usually goes hand in hand with being filthy rich, so it’s no surprise why they would spend so much money on a place that they could call home. At the end of a long day of performing, acting or playing some sort of sport, there’s nothing like coming back to a 25,000 sq ft. place to relax, because there isn’t such a thing as too much space when you are rich and famous. 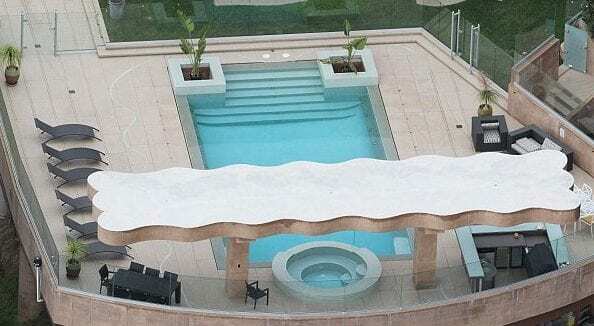 Some of these celebrity mansions are the most lavishing and spectacular properties that we’ve ever seen, and due to their enormity, they really can only be appreciated from a bird’s eye view. These are the most astonishing homes of the most talented people in Hollywood who would literally spend millions of dollars to feel at home. 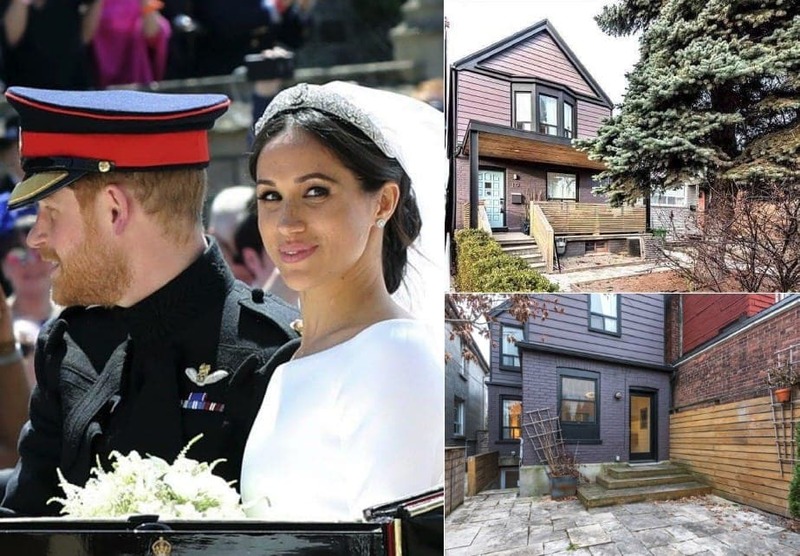 Jenny certainly moved to a different block and her home in the Hamptons that is locate in the Water Mill neighborhood is worth $10,000,000 and that includes eight bedrooms, seven bathrooms and a jaw-dropping pool on 3 acres of lavishing land. The singer is one of the most successful singers of our time and so it only makes sense that she would own a luxurious property that would be the perfect summer retreat for her and her family. They are one of the most high-profile couples in Hollywood, who are not only famous for their talents, but also for their lavishing and over excessive lifestyle. To be honest, we can’t expect anything less from the parents of North and Saint who are used to buying them designer clothes and pretty much everything in the world that they could ask for. This 9,000 sq. ft mansion in Bel Air is worth not less than $21.5 million and it includes five bedrooms, seven bathrooms and even an indoor elevator, all styled in a French Country decor. We have a feeling there are enough bedrooms for another baby if they decide to extend their family. When you’re one of the highest paid artists in the world, it’s almost expected of you to own lavishing, multi million dollar homes. 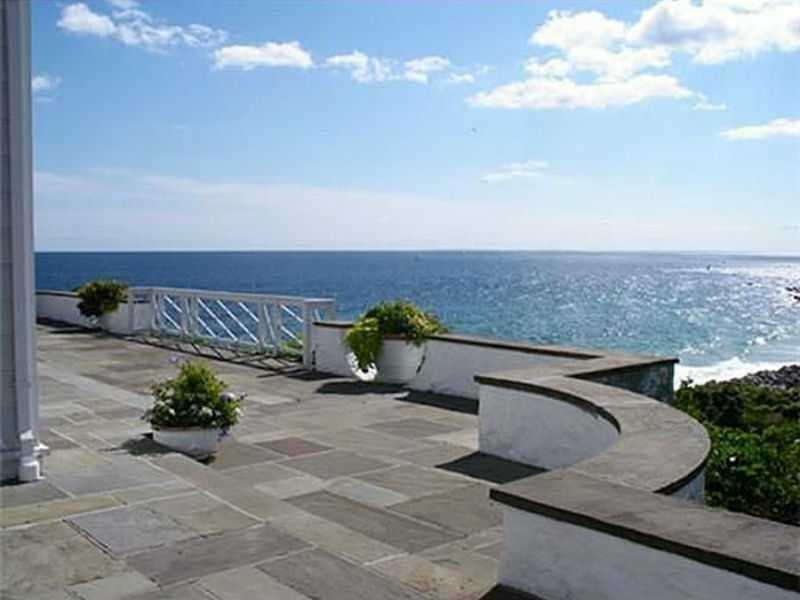 While they are all astonishingly stunning, it’s the singer’s Rhode Island mansion that caught our eyes the most. The 11,000 sq ft home was bought for $17.7 million. The mansion is perfect for Swift’s famous squad who love to be entertained often. It’s particularly great for hosting cupcake parties and other dinner bashes. The waterfront property has multiple fireplaces for extra coziness, eight bedrooms, a pool, great view over Fishers Island Sound and the Watch Hill Lighthouse. We’re pretty sure Gigi, Karlie or Kendall don’t complain when they hop over for a pajama party. When they were still happily married, the ‘If I were a rich girl’ singer purchased this 1,845 sq. ft home back in 2006 for a whooping $13.3 million. We have to admit, we would expect a much more bright colored property from the colorful singer, but don’t worry, inside you can find plenty of color. Some of the amenities on the property include a gym, a large pool a tennis court and a professional gym. 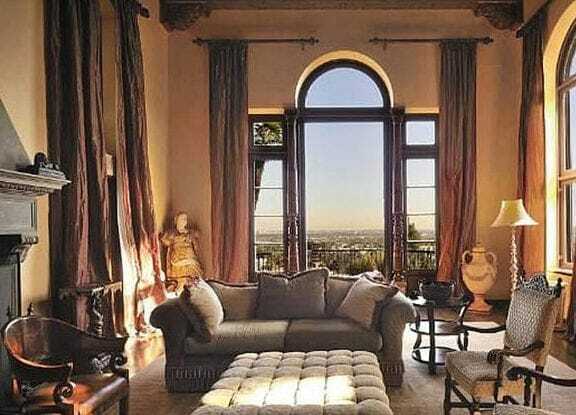 This Beverly Hills mansion is the perfect getaway for Stefani and her former The Voice host-turn boyfriend, Blake Shelton. 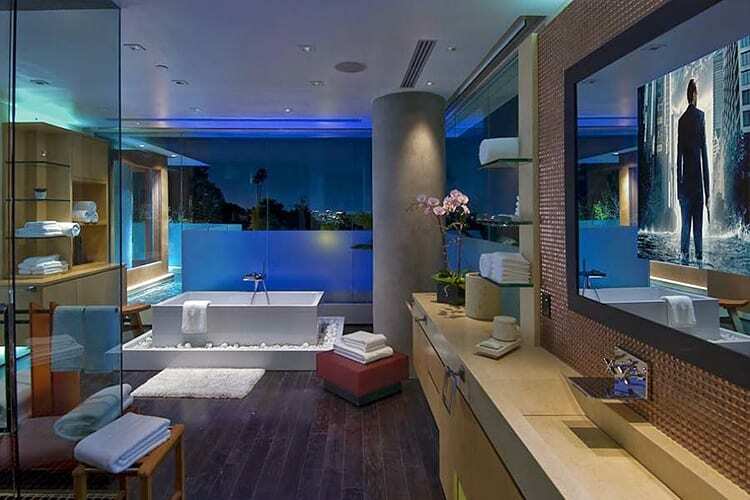 Gisele Bündchen & Tom Brady – $44 million, L.A.
Before it was sold to Dr. Dre, this $44 million worth mansion was belonged to the New England Patriots quarterback and his supermodel wife, Gisele Bündchen. The power couple was living quite comfortably to say the least, in this 22,000 sq. ft. L.A. mansion, which they entirely renovated. The estate boasts a swimming pool and a spectacular gym, and a six-car garage among other perks. 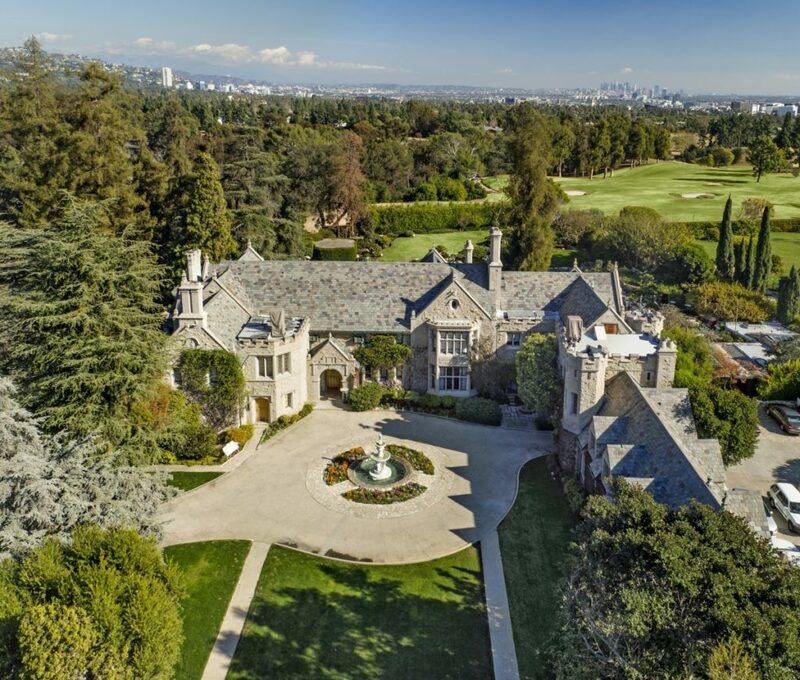 The funny talk show host and her actress wife, Portia de Rossi bought this 8,500 sq ft. $12,000,000 mansion from Brad Pitt and Angelina Jolie when they lived there and probably knew some better times. Nestled in the green hills of Malibu, this glassy ocean front top beach house is from 1962 includes four bedrooms, four bathrooms, a breakfast area, heated bamboo-floors and a lap pool. There really isn’t anything better than waking up to these spectacular views. When you live in such a stunning mansion, it probably makes the whole ‘broken heart’ phase, pass by much more quickly. 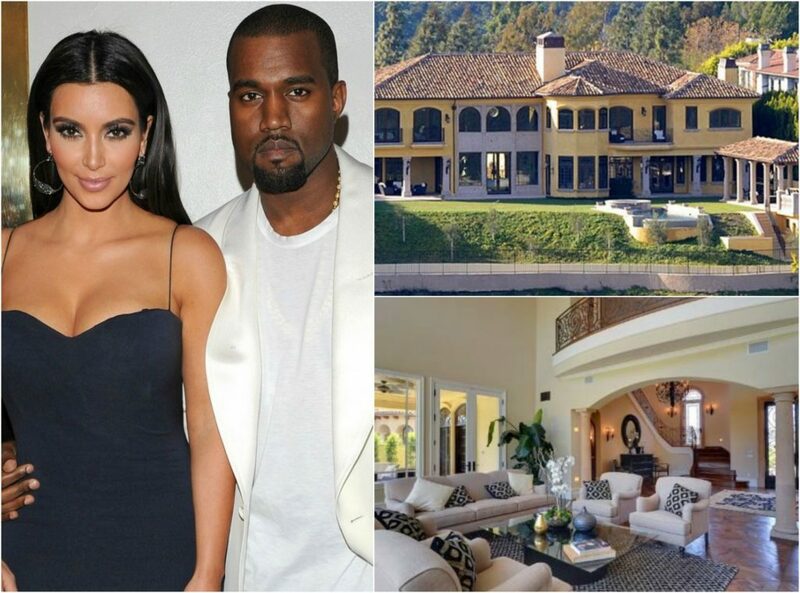 The pop singer owns this Calabasas mansion at the age of 24, and that is quite impressive on its own. This Californian estate is worth $4.5 million and it features seven bathrooms, six bedrooms and not one but five fireplaces. If that’s not enough, you can also find a gym, a movie theater a walk-in closet and a gym. When you think about the Diva’s house, you probably imagine an extravagant almost bizarre home with touches that are suitable for the extravert singer. 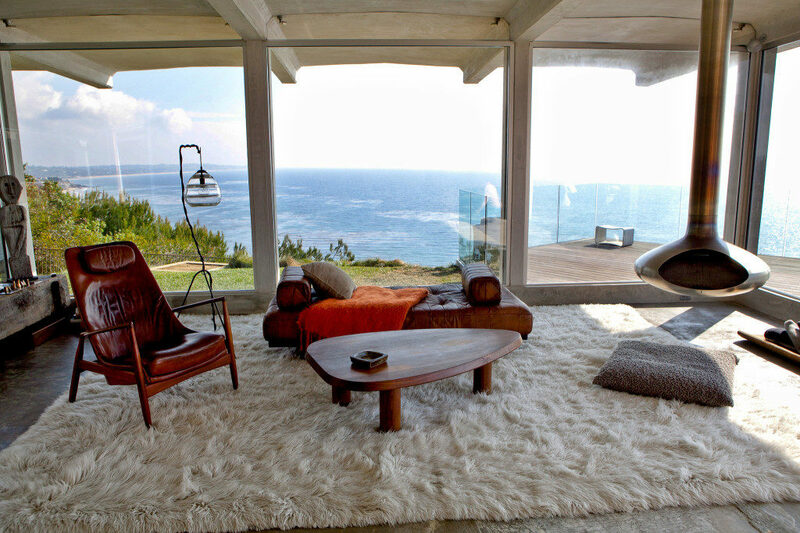 However, Gaga’s Malibu home is everything you wouldn’t expect. 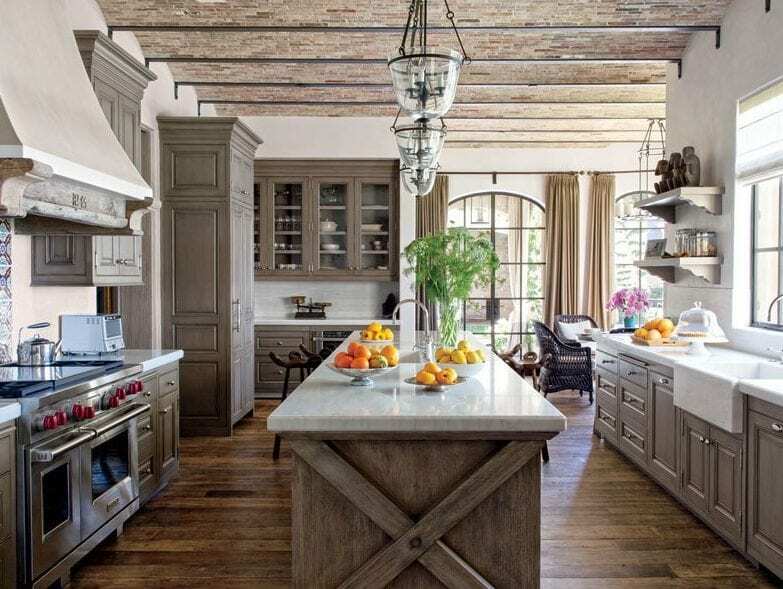 The European- inspired beachfront, five-bedroom house cost $23 million and it has a rustic vibe mixed with French touches. Ok, so maybe the Bowling Alley is exactly what we needed to see in that house to know for sure that it is owned by the Paparazzi singer. Talk about being Locked Inside of Heaven! The talented singer, performer and song writer definitely owns a piece of heaven. Considering his colorful and bouncy character, his house is pretty subtle, ‘clean’ and modern. 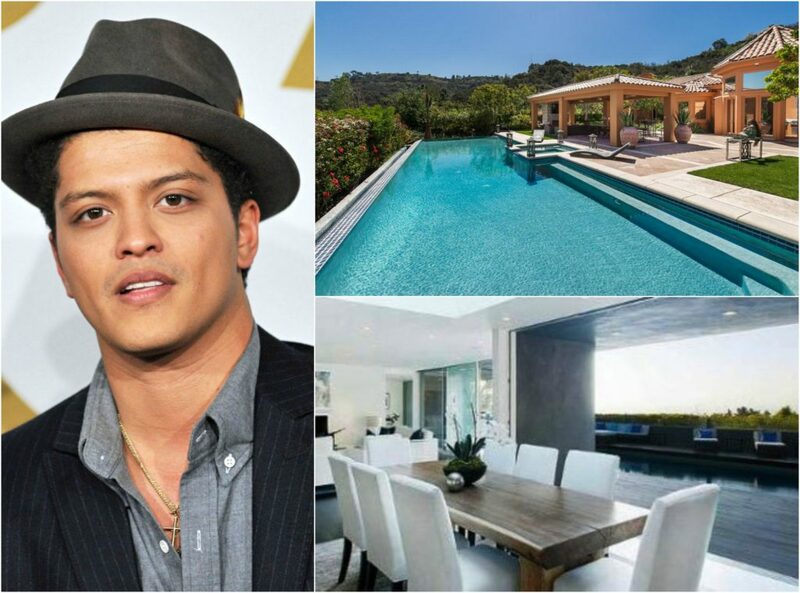 Mars bought this amazing property that is located in Studio City, California, for $6.8 million. 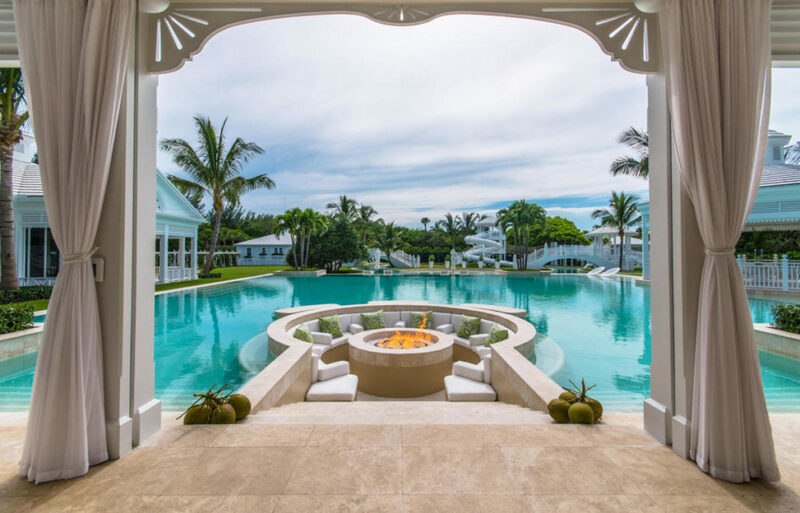 Another property on the luxurious Jupiter Island belongs to the astonishing Celine Dion. The singer actually owns the biggest waterfront property in the area. Dion and her late husband, Rene Angelil, wanted to build a ‘resort-style’ home with water slides in a luxurious feel that would suit the couple and their family. This estate is estimated at $75 million and boasts 2 guest houses, a tennis court, a pool house and a massage room. 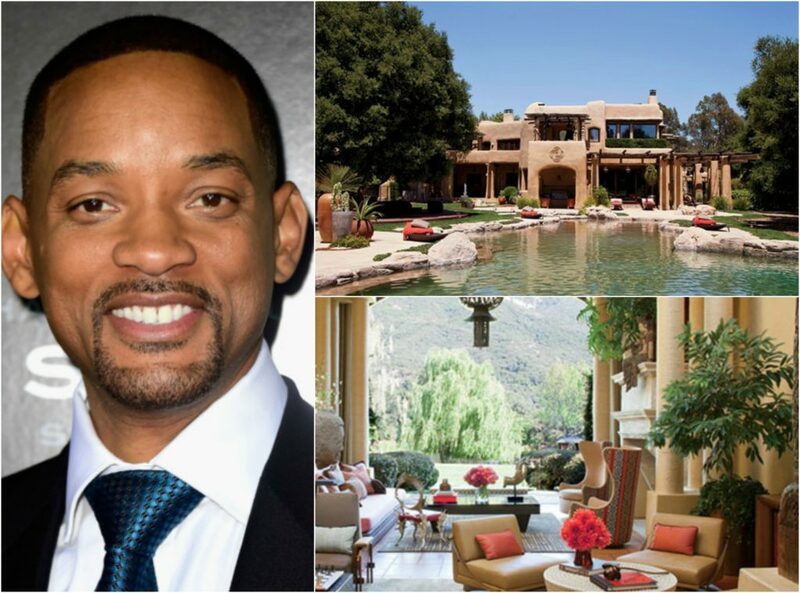 Another A-list couple are Will Smith and his wife, Jada Pinkett Smith who own this $42 million Calabasas mansion. There is plenty of room on this 25,000 sq ft. estate for the actor couple and their three famous children to relax in. Smith actually built this place while he was the one deciding on all the details and luxe and fun perks. There is more than one swimming pool of course and a couple of gyms to make sure everyone is at their best shapes. We already know that the real estate market is like a game for celebrities who are used to buying and selling properties from each other as if it was a game of Monopoly, so it doesn’t surprise us that the former realty star and singer purchased this gorgeous $12 million house from Ozzy and Sharon Osbourne, AKA, the Osbournes. It includes seven bedrooms, a swimming pool, a master bedroom and a few libraries for her the kids to hang out in. The 46 year old actor has come a long way since his Good will Hunting Days, and you could say he has upgraded his lifestyle. 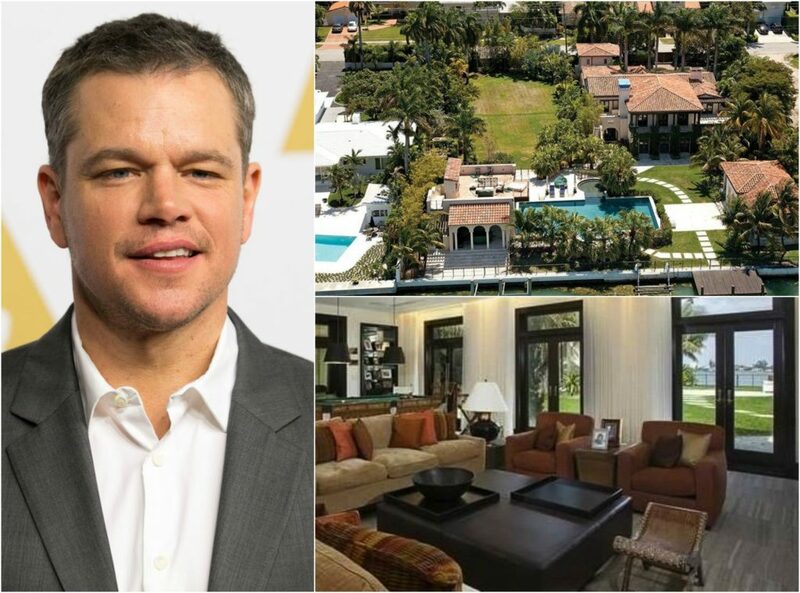 The Oscar winner bought this Miami Villa in 2005 and it is estimated at $20 million. Although he has recently sold the property, he had called this place for many years and we can understand why. It features 10 bathrooms, a theater (obviously), 7 bedrooms, a guesthouse that could host a few people, a luxurious kitchen and the bonus – an ocean front terrace. She is the ultimate talk show queen, and so you wouldn’t expect anything less from a queen. 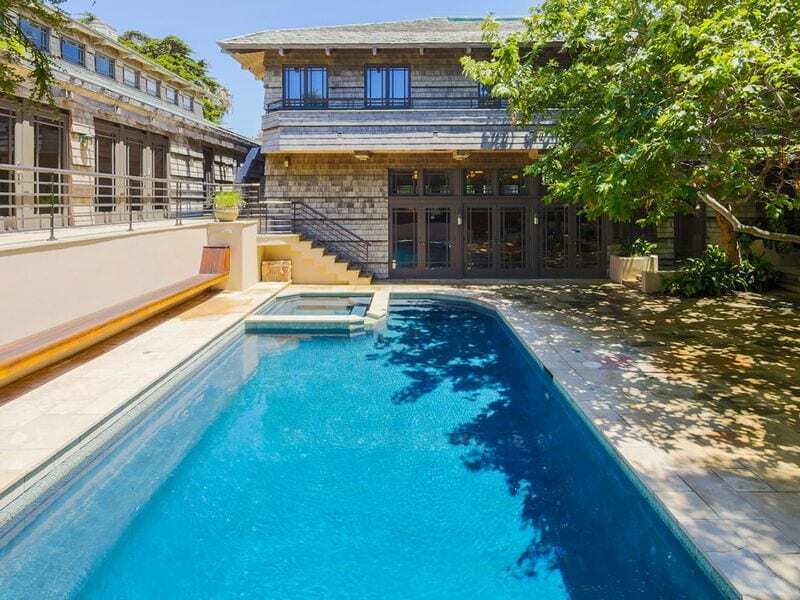 The TV mogul own this Montecito, California home which features a swimming pool, five bathrooms, four bedrooms and an equestrian! This stunning property is worth $55 million and the bonus are the ocean and mountain views. 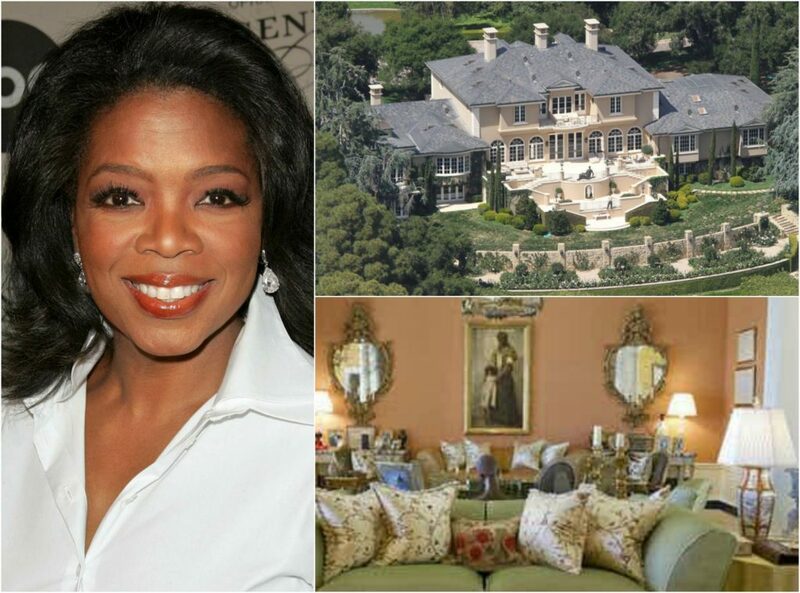 There is plenty of space for Oprah and her five dogs. This is not the only property that is owned by the powerful TV host, she also has a condo in Chicago and a home in New Jersey. the business magnate who co-founded Microsoft has a net worth of $82.2 billion which is mind blowing and difficult to grasp at times. The billionaire owns an extravagant home that is named ‘Xanadu 2.0’ and has reportedly cost $63 million to build. This massive property in Medina, Washington is built with all the techie details that you could dream of in a natural surrounding. From a trampoline room to a 23-car garage, this is what we would call a dream home. 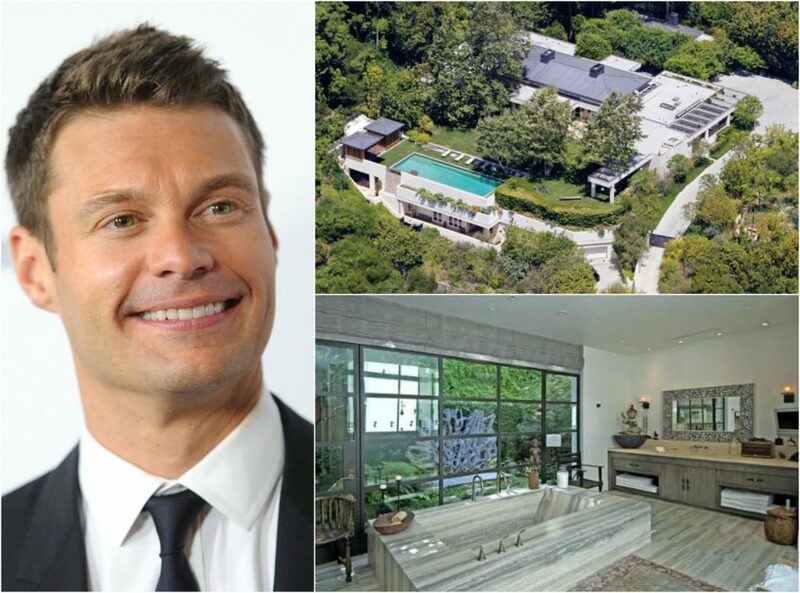 It’s no secret that Ryan Seacrest is one wealthy man. The TV personality who is mostly famous for his work on E! as well as hosting American Idol for years. 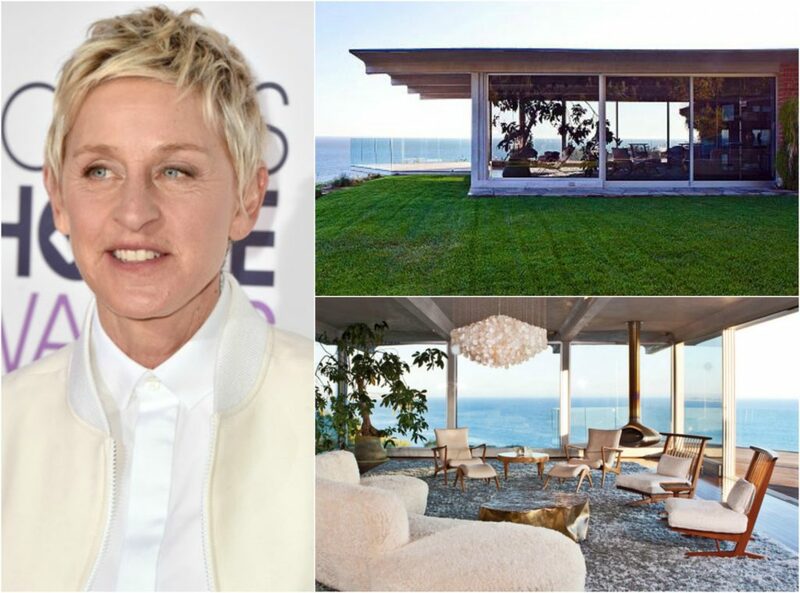 The host purchased this Beverly Hills three-acre compound from another TV personality, Ellen DeGeneres for around $40 million. It features nine bedrooms, two guesthouses, three bedrooms and it is as intimate as can get with its location on a private street. 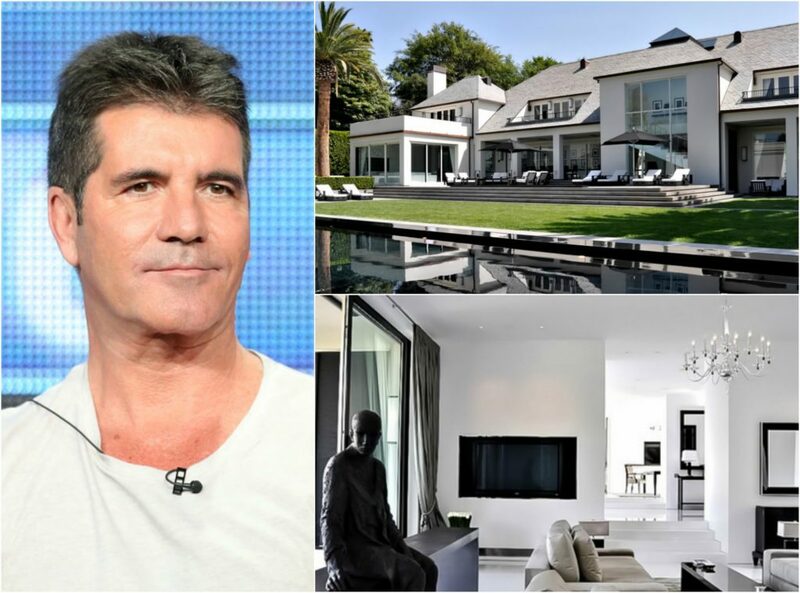 Simon Cowell – $12 million, L.A.
From one reality judge to another, the British critical TV mogul who is also in charge for creating the super-successful boy band, One Direction likes to split his time between his London and L.A. homes. When he does find the time to relax in his L.A. residence he has the chance to chose from six bedrooms or just spend the time at his personal movie theater. Some of the other luxe perks are a lap pool, a wet steam room, a spa and a tanning salon! Quite, the upgrade, wouldn’t you say? 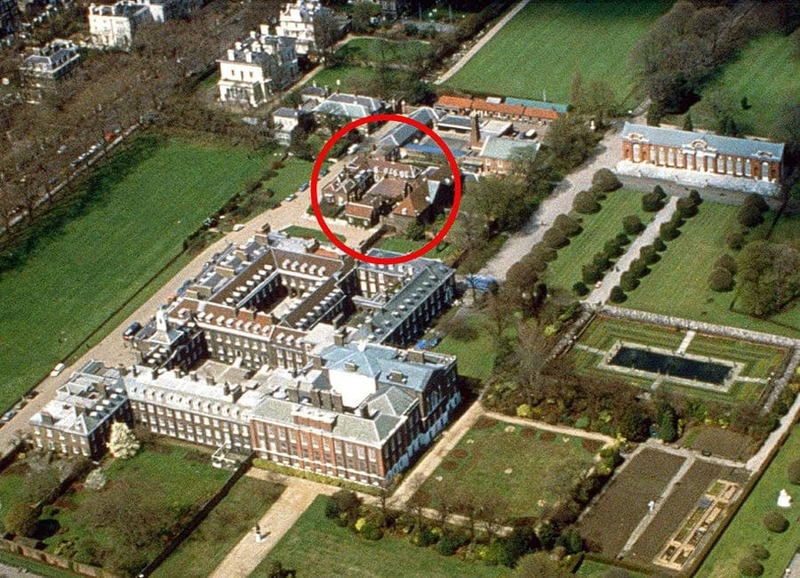 The 540,000sq ft. Kensington Palace, located “on” London’s busy Oxford Street (it’s really more in the middle of the expansive Kensington Gardens), this rather humble abode is where Meghan and Harry have moved into following their wedding. specifically, the newlyweds are living in the deceptively modest-sounding Nottingham Cottage part of the palace, circled above in red. We wish you all the best at your new home, Meghan! And if you ever need to borrow a cup of sugar, don’t hesitate to ask! 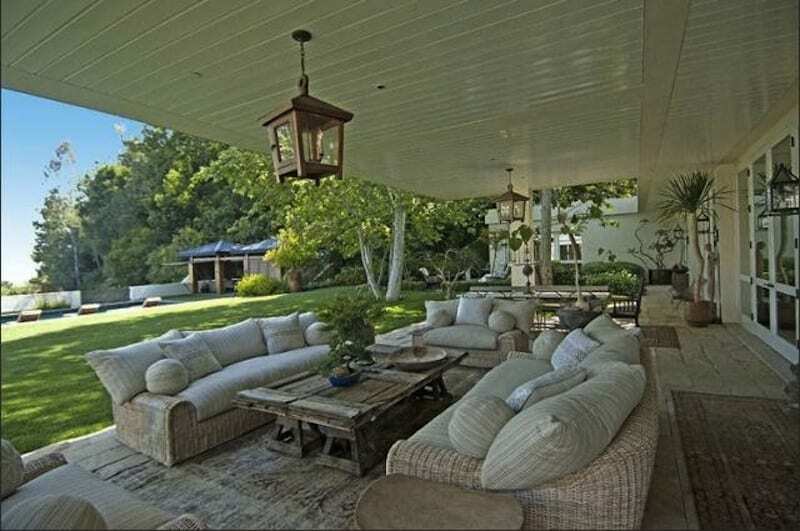 The most famous Friends star must have decided in 2006 when she bought her $13.5 million Beverly Hills mansion that this was going to be her home for a very long time, because unlike her fellow celeb stars, Aniston has changed her address so often. 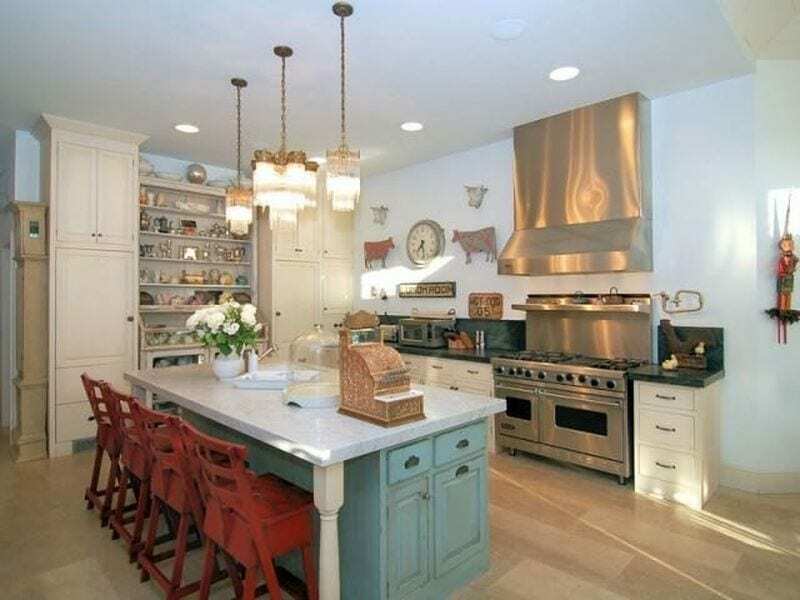 The actress has been remodeling this 9,100 square foot home over and over. It boasts six bedrooms, a private drive, a walk-in closet and more. The stand up comedian whom we all remember from one of the most successful sitcoms in television history, bought his $32 million mansion from singer, Billy Joel. Seinfeld’s house in the Hamptons has been referred to by the actor as ‘ laid back place’, which to us seems more like a classy, elegant and poshy pad rather than a laid back one. Although, we wouldn’t mind spending a night or two at this massive estate. 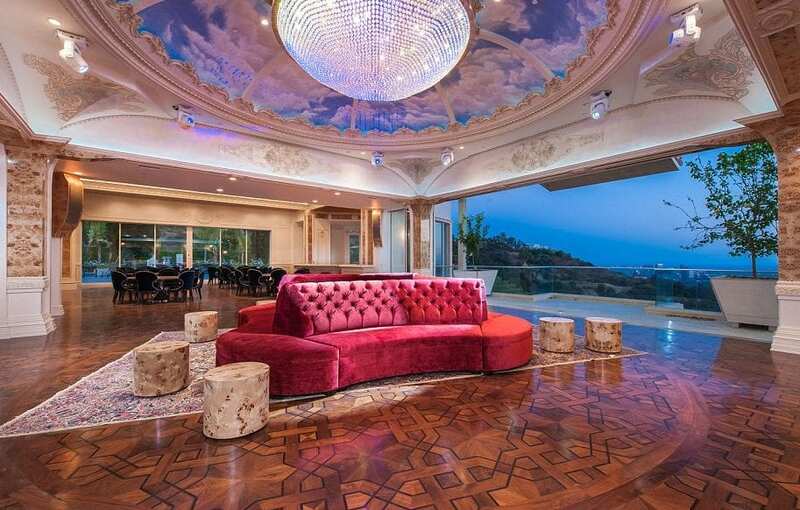 Rihanna – $14.5 million, L.A.
She may not have found love yet, but she did find home in this L.A. $14.5 million mansion that is located in Pacific Palisades. The young singer who will turn 30 next year is the owner of a 11,000 sq ft property that just screams lavish from every corner. With eight bathrooms, seven bedrooms, a rood top deck and 6,000 sq ft garden with a pool, Rihanna has plenty of room to relax between concerts. 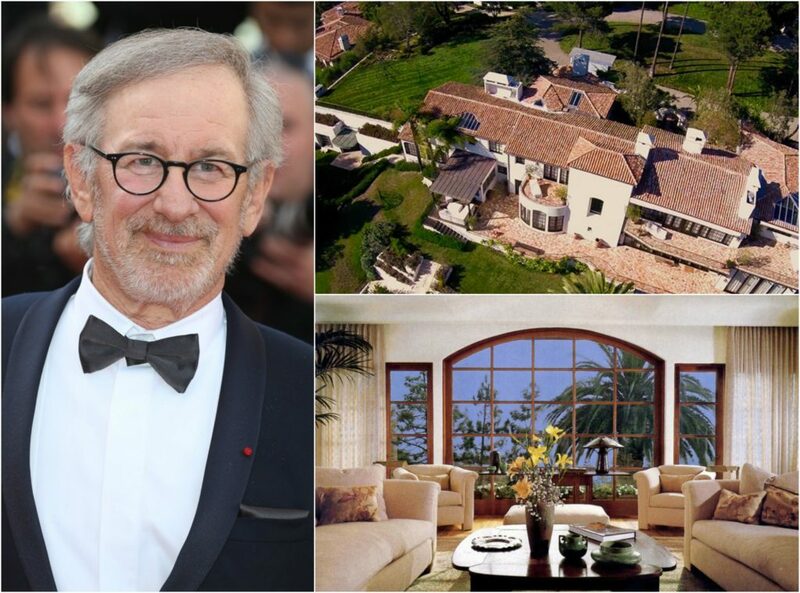 Steven Spielberg -$26 million, L.A.
With so many movies under his belt, there’s no wonder how the Academy award winner can afford such an extraordinary and expensive house. Just a few homes away from Rihanna, the director’s 3.5 acre estate boasts five bedroom and six bathrooms. 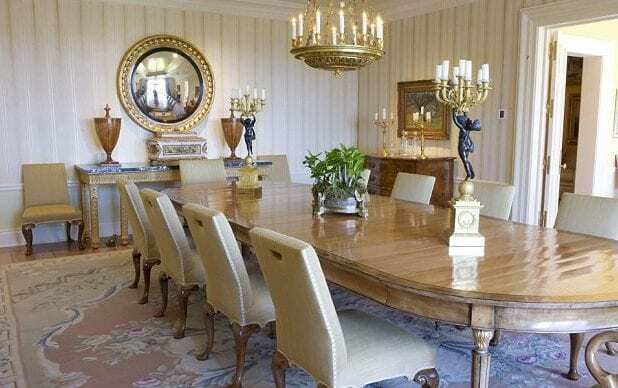 It’s estimated at around $26 million. He recently connected a SkyCam video of his private property where it is available to view os Star Map. 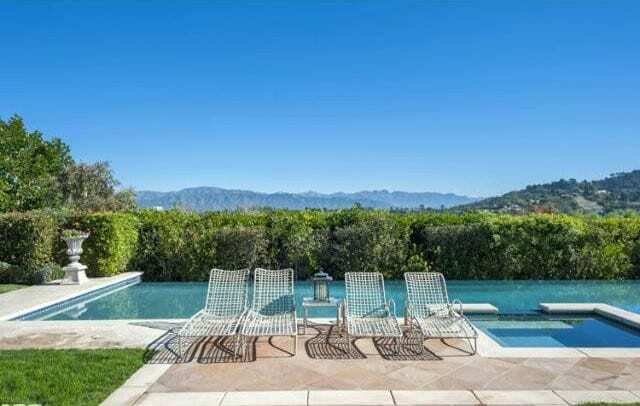 In one word, Katy Perry’s Hollywood Hills home is ‘Fireworks’. The 4,017 square foot home includes 5 bedroom, 4 bathrooms and hardwood and terrazzo flooring all over. A modern kitchen with the most luxurious amenities, a pool, a spa and a terrace which allows for the singer to view the city’s spectacular views. Perry’s home is the perfect combination of modern architecture and an historic feel. 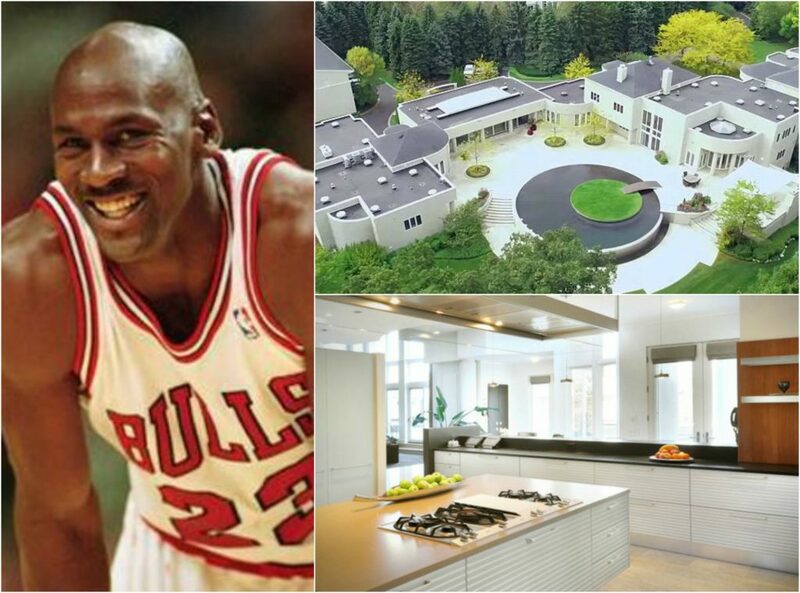 The NBA legend is the most renowned basketball player of all time and so it only makes sense that his home would be legendary. 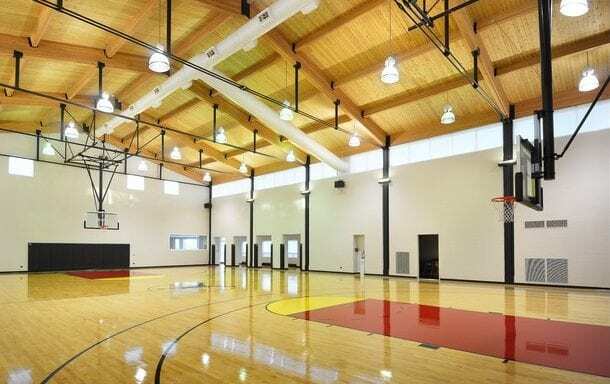 The former player’s private residence boasts an impressive nine bedrooms, 17 bathrooms!, an enormous garage that can hold up to 15 cars, an basketball court (obviously), a tennis court. 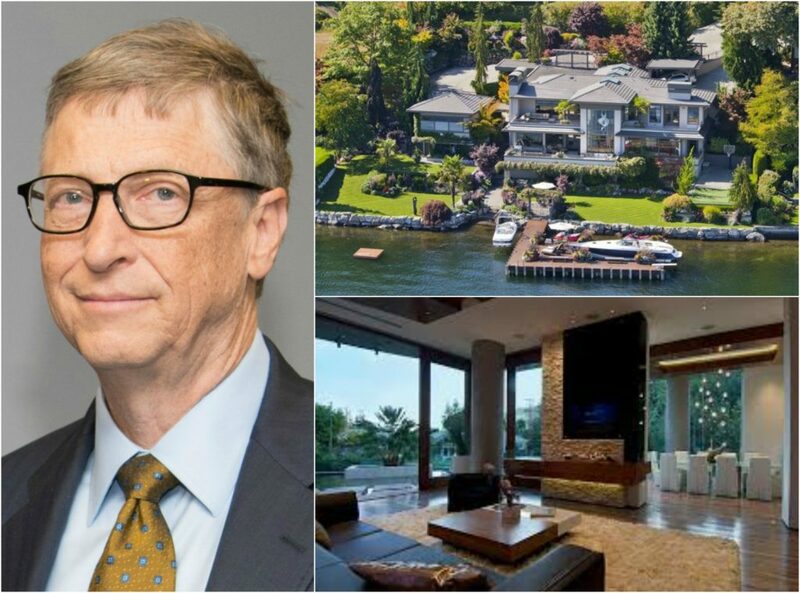 When he first put the property on the market, he asked for nearly $30 million, but has since dropped the price in half. Who wouldn’t want to live at legend’s home? 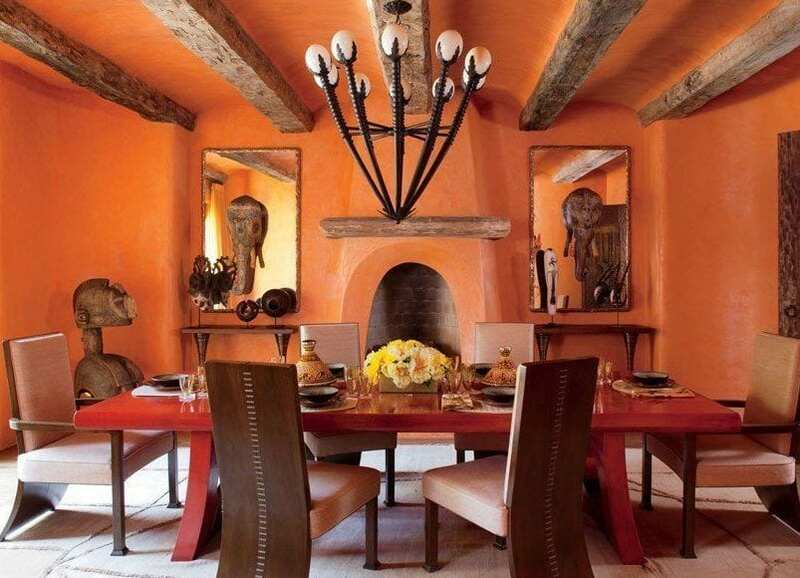 Have you ever wondered what kind of house the stunning supermodel and it-girl grew up in? Let’s just say, Gigi Hadid did not have a heart breaking story when it comes to her upbringing and the lifestyle that she is used to leading, because her dad, Mohammed Hadid is the owner of this $195 million mansion! The estate is called The Palazzo di Amore and it was designed by Hadid. It boasts its own private vineyard, 12 bedrooms, 23 bathrooms and a spectacular swimming pool. Don’t worry, Gigi is also the owner of a $4 million luxurious condo in New York. 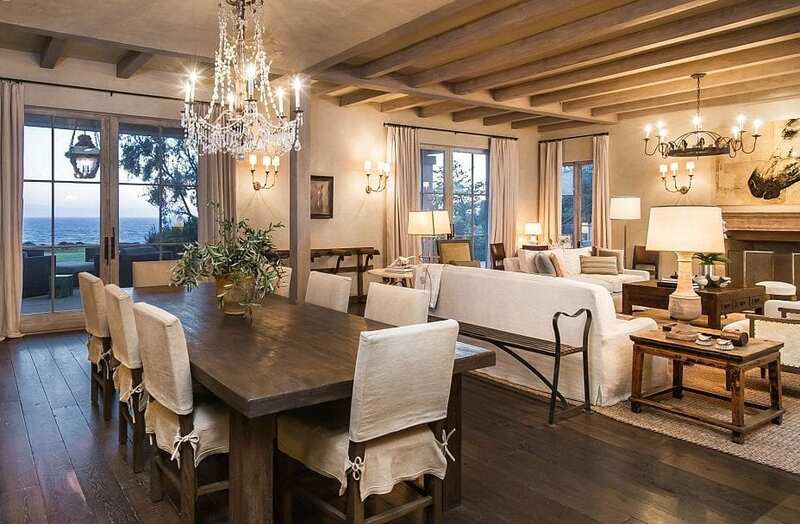 The Oscar winner has owns a hidden gem in the hills. Jennifer Lawrence bought her Californian home for $6.4 million and it includes five bedrooms, five bathrooms, a gourmet kitchen that opens up to the patio. The 5,500 sq ft house has a cozy feeling to it with with a warm fireplace spot, a large dining table to host and all the small details that make the house as charming as it is. When she wants to relax in a more natural surrounding, Lawrence can sit at her lovely backyard. The house was once owned by Ellen and later by Jessica Simpson. 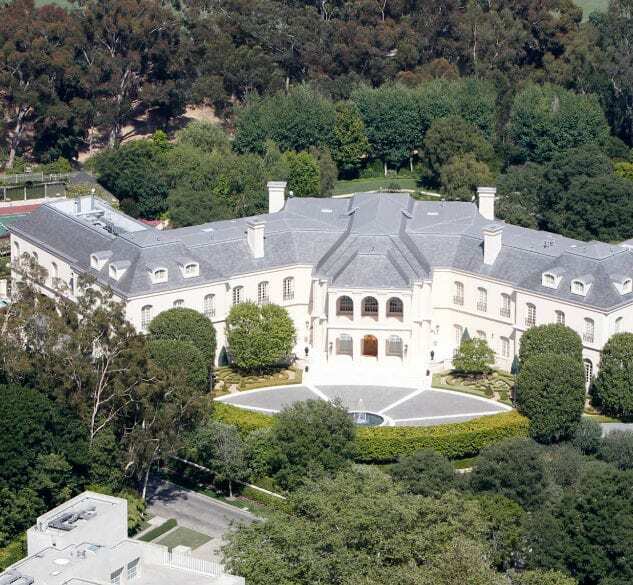 Beyonce & Jay-Z – $45 Million, L.A.
For such a big power couple with a total net worth of almost $1 billion, purchasing a mansion that is worth $45 million, doesn’t seem so much. The Queen B and her successful artist hubby, Jay-Z own this Bel Air mansion that includes 8 bedrooms, 11 bathrooms and is around 30,000 sq ft in size. The designer of this impressive house is architect, Paul McClean, who is also responsible for designing some of the priciest houses in the area. The couple, who is expecting twins, can relax in one of 4 pools, shoot some hoops on their own private basketball court, if they want to blow off some steam and end their day at the spa. Hugh Hefner – $100 million, L.A. It is probably the most famous and infamous mansion in the country, and also the most public one. Hefner was a resident of the notorious mansion for over 40 years when he died in 2017. In 2016 he got a new landlord, a young investor named Daren Metropoulos, who is the son of billionaire C. Dean Metropoulos. 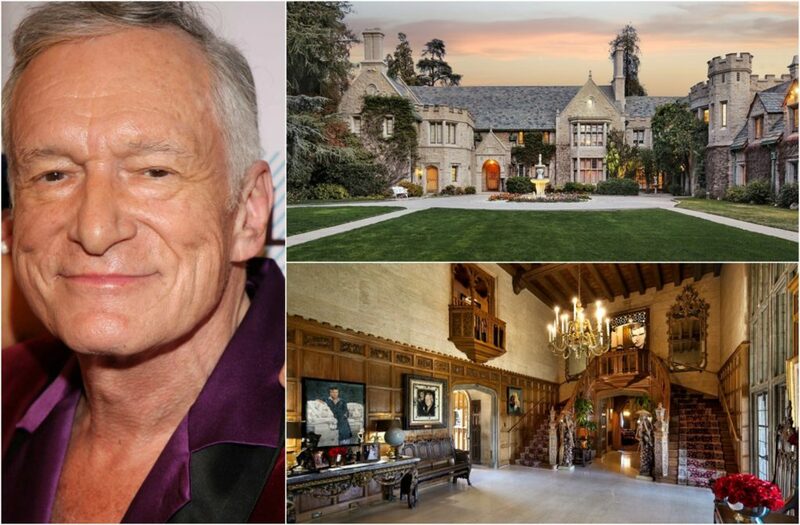 Daren purchased Hefner’s home for $100 million! In case you haven’t seen it yet, the mansion boasts a tennis court, a gym, a four-bedroom guesthouse, a swimming pool and more. As part of the purchase deal, Hefner was allowed to remain at the mansion for the rest of his life.